Resources on-campus and in the community are available to help you be an effective gatekeeper. Remember, you are not alone when it comes to helping a student in distress. Use your resources! Individual counseling is basically a collaborative effort between you and your counselor. Our goal is to provide an open, supportive and confidential environment for you to address the issues concerning you. • You have concerns about a student and wish to consult with a mental health professional. 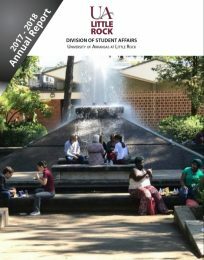 Health Services is a clinic providing cost-effective, accessible health care for students, faculty, and staff of the UALR campus community. Our medical staff includes advanced practice nurses, registered nurses, and a consulting physician. To schedule an appointment, please call 501-569-3188. Disability Resource Center is here to work with the campus community to ensure that physical, curricular and web environments are designed to be barrier-free to the extent possible. For more information contact our office at 501-569-3143. We are a law enforcement agency dedicated to providing a full range of police services 24 hours a day, 7 days a week. For more information contact our office by phone at 501-569-3400. The Office of Dean of Students is here to educate faculty, staff and students regarding the University’s expectations of behavior, to protect the rights, and to assure fairness and due process for everyone. We also provide a consulting psychiatrist to assist the University Behavioral Intervention Team. For more information contact our office by phone at 501-569-3328.